Video Gaming with Contact Lenses? Admit it; you love your video games! You spend hours trying to get to the next level and cannot take your eyes off the screen for a second. But if you are like so many other gamers, those long gaming sessions may be taking a much greater toll on your eyes than you know. The problem is even worse for those who are wearing contact lenses compared with those who wear glasses or have no vision correction. Contact lenses are an excellent choice for virtual reality headsets as they allow you the most freedom and clear peripheral vision. However your eyes will not be comfortable if you have contact lenses in for too long. Are you experiencing dry eyes, headaches, blurry or double vision? You could even be suffering from sleep disorders. These problems may all be from wearing contact lenses while looking at a screen for long hours during your gaming sessions. Additionally, if your job requires you to stare at a screen all day long, the problems can be exacerbated. To alleviate these symptoms, there are a few things you can do. First, reduce the hours you spend looking at your various screens. Giving your eyes a rest is the first step. Secondly, if you can’t put that game controller down, put on your glasses as that may help a little. If you are still having problems, schedule a visit with your eye doctor at Sunshine Optometry. Before your visit, take note of some key points to help your doctor better understand what you're experiencing. Record some of your symptoms and when they are occurring. Is it happening all the time or just while gaming? Taking at least a 10 minute break every hour and using preservative-free artificial tears can help reduce fatigue and dryness. Keep track of how many hours you are looking at your screens. When calculating screen time, include time spent at work, gaming, and looking at your smartphone; how much of that time was while you were wearing your contact lenses? With this information at hand, your eye doctor will be able to quickly diagnose and recommend a suitable course of treatment and you can get back to winning! Just like the cell phone industry, new contact lens technology is always evolving. Visit us soon to see which type of lenses perform best for you eyes. Time is Running Out! Use Your FSA Before it Expires! You probably know that prescription eyeglasses are covered, but did you know that sunglasses, safety glasses, and goggles (as long as these all have prescription lenses) are also FSA eligible? If you prefer contact lenses, not only your lenses, but also the shipping costs, are qualifying expenses. Hurry before it is too late! Never buy colored contact lenses from a retailer that does not ask for a prescription. There is no such thing as a "one size fits all" contact lens. Lenses that are not properly fitted may scratch the eye or cause blood vessels to grow into the cornea. Learn more how some retailers are selling illegal contact lenses! Learn more here! Those long gaming session may be taking a much greater toll on your eyes than you know. 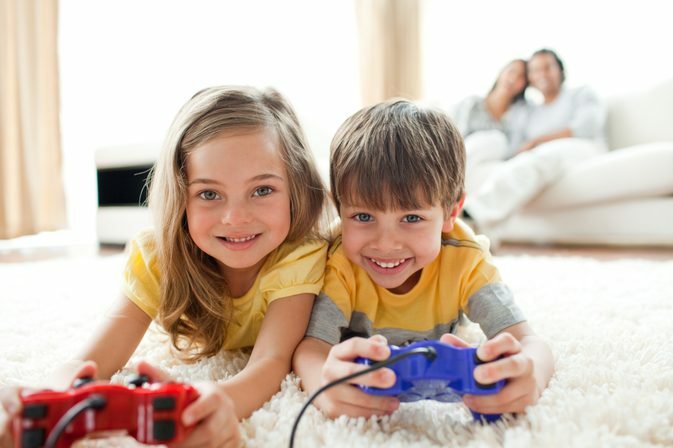 Problems may arise from wearing contact lenses while looking at a screen for long hours during your gaming sessions. Read more about what you can do! Limited Time Offer: The Hottest Deal Ever. Free Sunglasses! Are you unsure whether to get contacts or glasses this year? At Sunshine Optometry, we want to make the choice a little bit easier for you. From now until October 31, 2018, Any one (1) year supply of soft contact lens purchase qualifies for a free pair of select sunglasses. * See details. Restrictions Apply. How Can Contacts Protect Your Eyes from UV Radiation? You probably know about the damage the sun's ultraviolet (UV) radiation can do to your skin. But do you know about the damage UV radiation does to the eye? Some contact lenses offer additional protection from UV. Discover the hidden benefits of wearing contact lenses here. How Bad Is It to Lick Your Contact, Then Put It Back In? Spit and contact solution aren’t the same. Read this to find out the dangers of dirty contact lenses. Learn more about this gross and dangerous habit that you or a friend may have! Happy friendship day. Watch this hilarious video about June and Jane and find out why fresh is better when wearing contact lenses. It will be clear why replacing your contact lenses on schedule is so important. Dirty Little Secret: Almost Nobody Cleans Contacts Properly? Do you want to be one of those people who is going blind and it hurts like crazy and you can't work for three months? Once you've got a serious eye infection going in your cornea, you're in trouble. Learn more about what you're probably doing wrong with contacts!